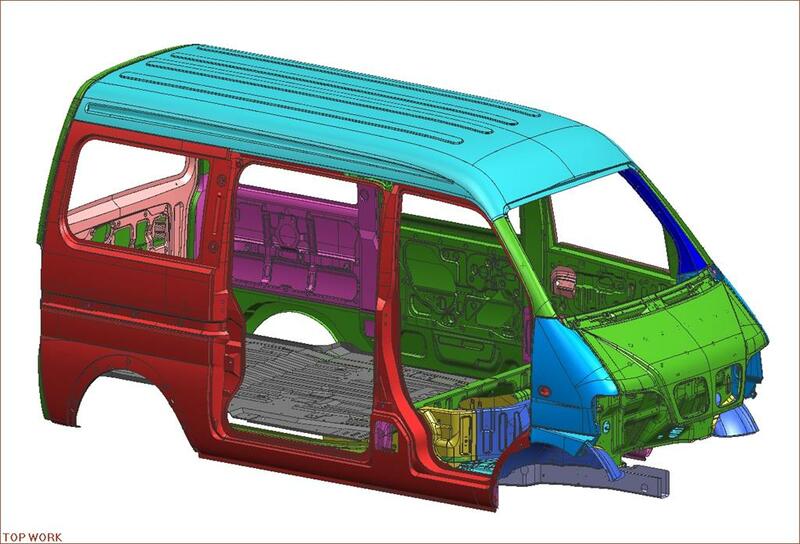 eta / DYNAFORM is the only stamping product and die development technology software to provide total CAE solutions. 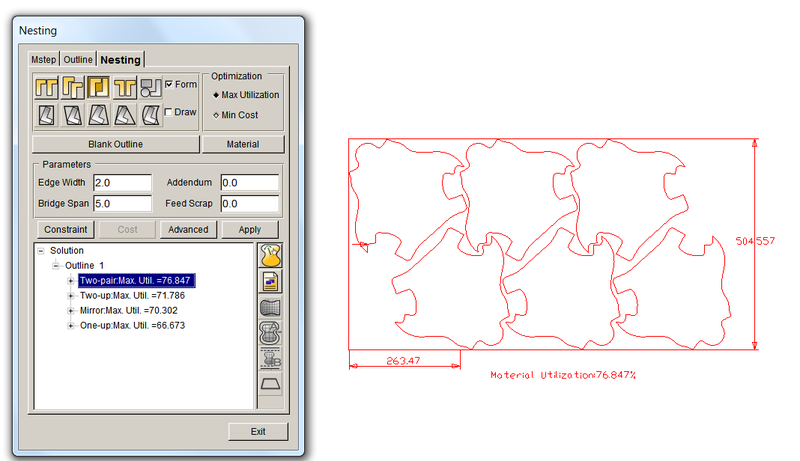 DYNAFORM software provides total solution for stamping and sheet metal forming businesses. 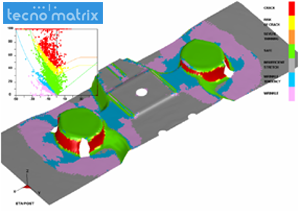 DYNAFORM forming simulation can accurately analyze complex stamping process. 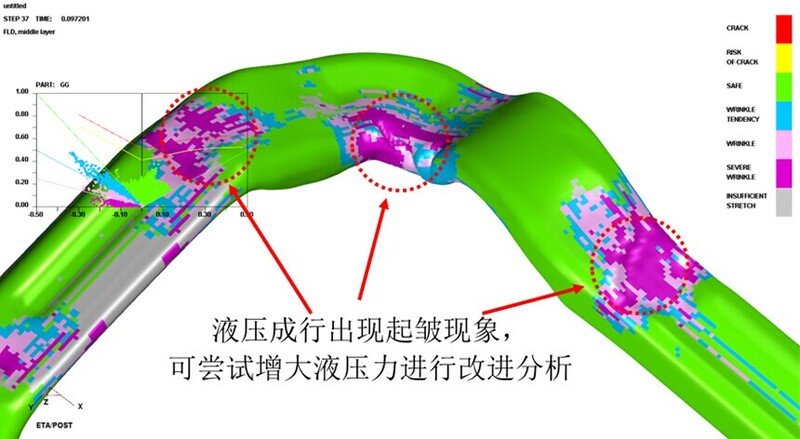 It can accurately predict wrinkling, cracking, rebound, stress problems, surface defects, BHF, press tonnage, and so on. 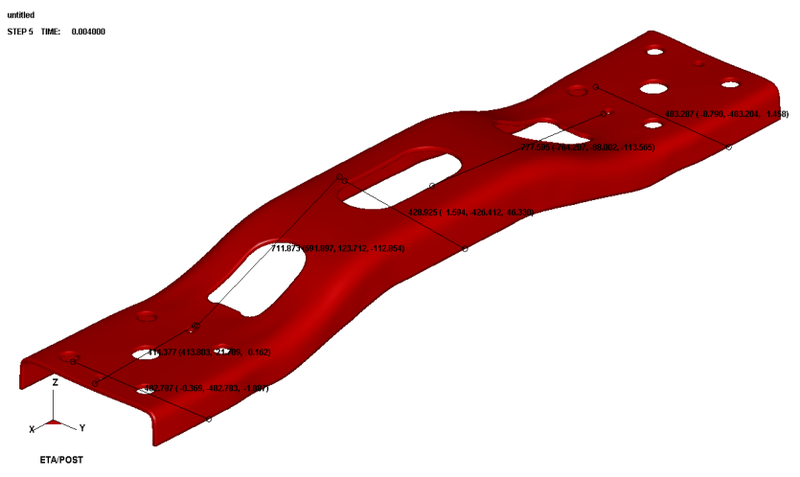 We can parameterize equivalent drawbead in the CAE model to make it into a solid shape drawbead. 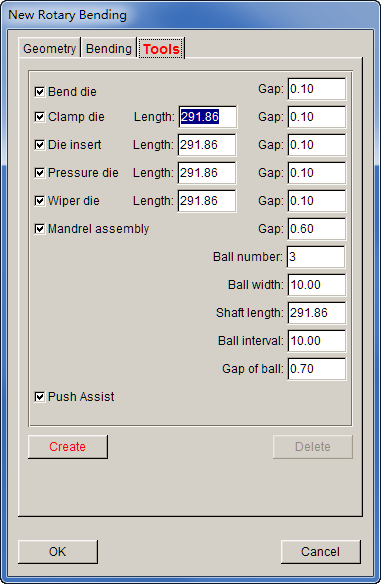 The mesh information of the solid bar can be used for simulation; the user can export the solid drawbead directly to the CAD software (catia, UG, etc. ).as a basis for NC programming. 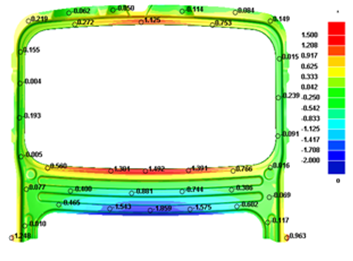 The real rib simulation is more consistent with the actual forming state, which provides a reliable guarantee for springback prediction and springback compensation. 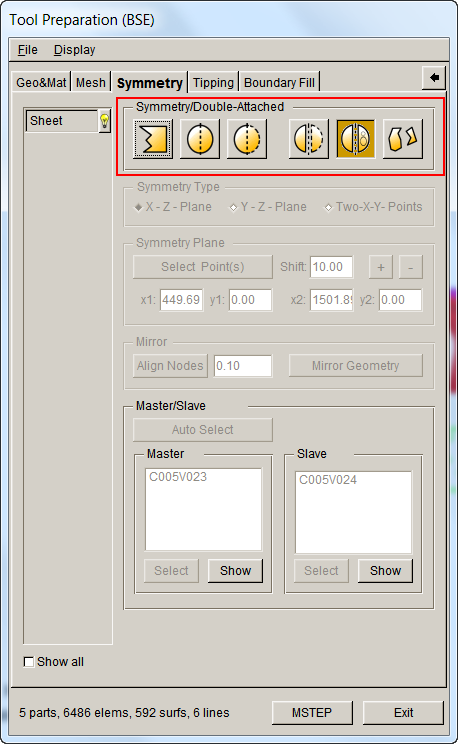 eta / DYNAFORM provides material library of Japan, Europe and the United States. 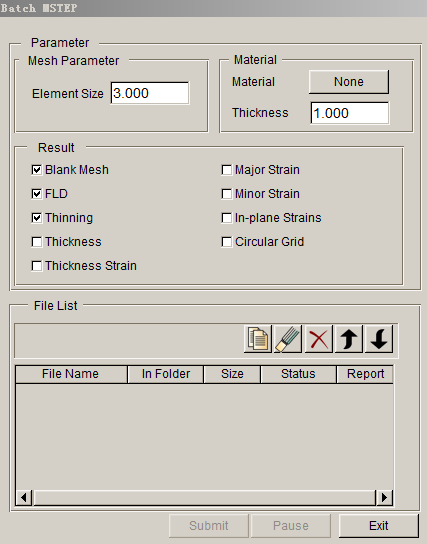 Baosteel provides 9 categories of material parameters for all grades of sheet metal. Material library contains detailed parameters like stress-strain curves, FLC and so on. 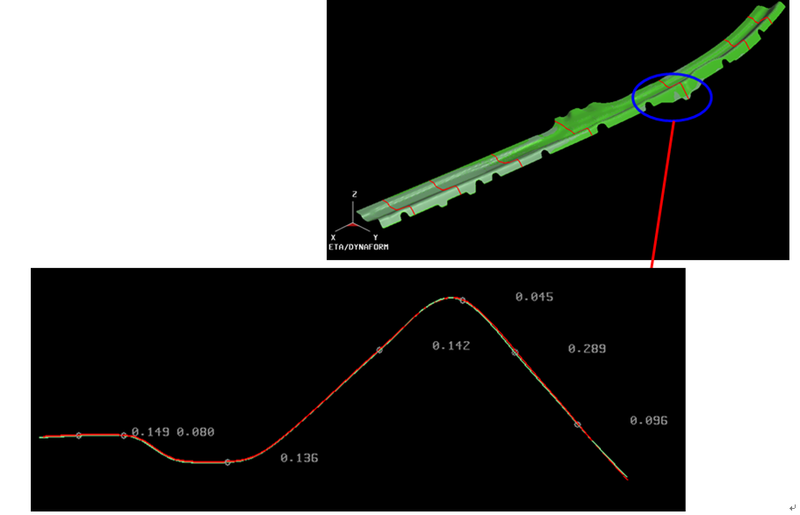 DYNAFORM With the introduction of new materials and new technology, increases the accuracy of the analysis. 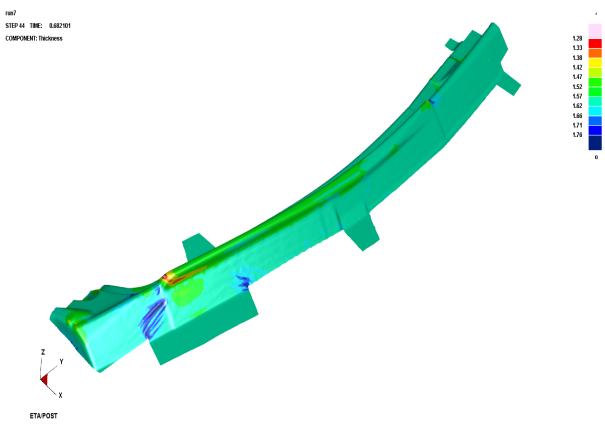 After ensuring the process stability, whole processcan be carried out after the simulation. 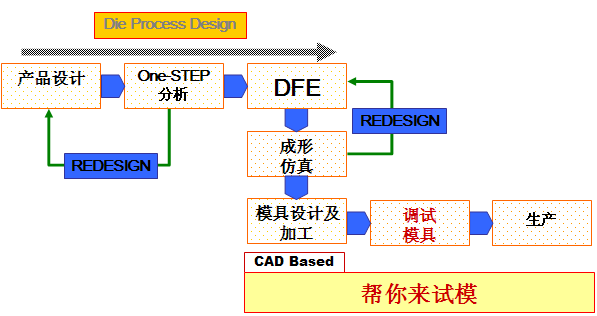 the whole process simulation to maximize the scene to reproduce the stamping process, by analyzing the reasons for determining the springback to determine the compensation process, the order of mold after compensation for a new Round the whole process simulation, so the cycle until the parts qualified. 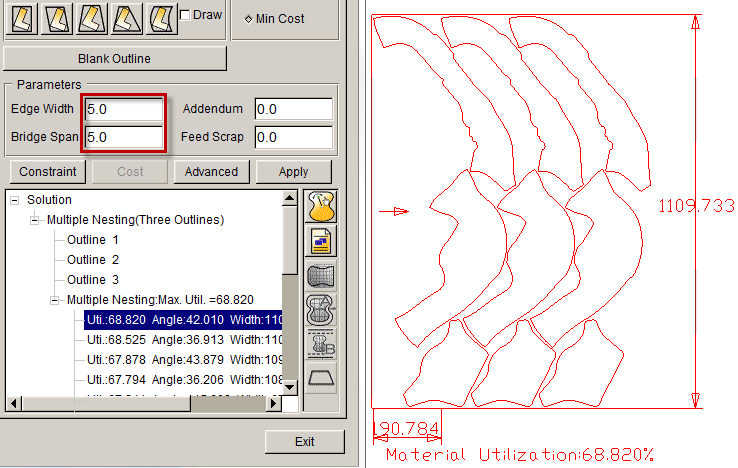 Curve surface creation and editing capabilities are provided. 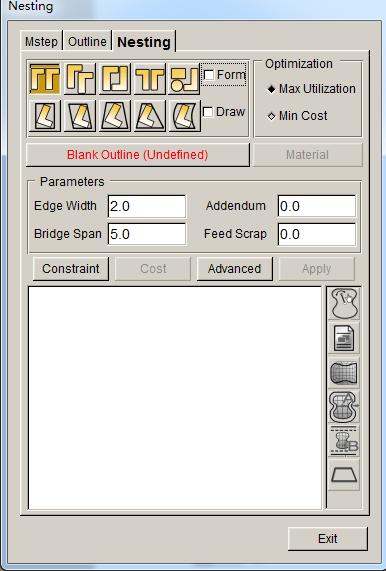 eta / DYNAFORM generates trim line of complex parts directly after drawing surface, thus, eliminating the need for user to calculate trim line in the CAD software which greatly improves efficiency of engineers. 5. 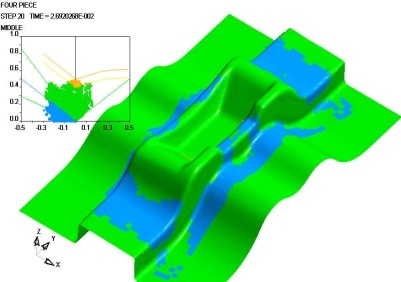 According to the key point of material utilization, adjust the blank size, size of 3D inverse boundary line and provide basis for the product block evaluation and improvement of material utilization rate. 8.BSE- Stamping direction adjustment, automatic and manual, convenient, support for the single-piece, two-mode, variety of stamping process conditions. 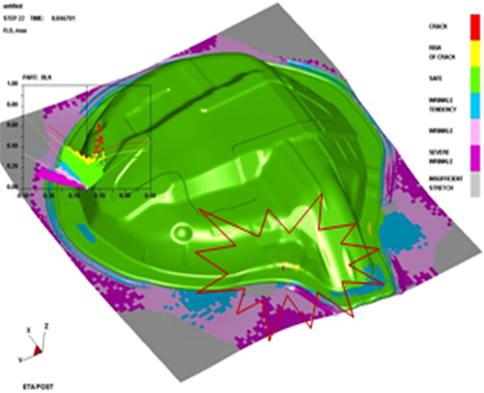 Eta/DYNAFORM offers a complete solution for punch forming analysis, springback analysis, and springback compensation. 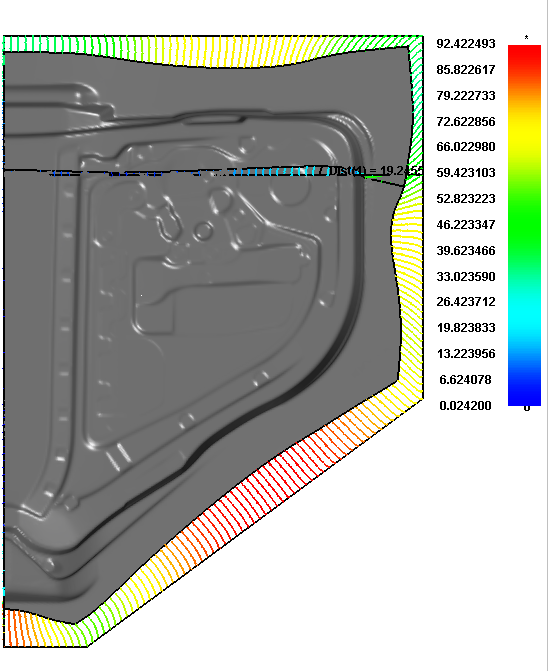 It can analyze complex stamping process in the industry which includes springback and springback compensation and it is known for high precision around the world. 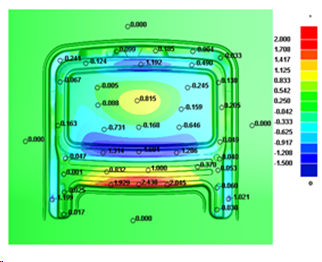 Accurate springback analysis provides basis for the product and mold development. Especially in the case of high-strength steel, accurate springback analysis is very important. 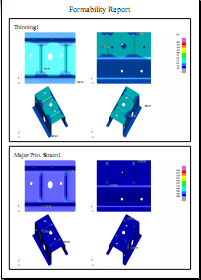 Product springback larger circumstances, relying on the mold process and structure has been difficult to produce products to meet the demand, so the current springback compensation is an indispensable tool in the development of mold means. 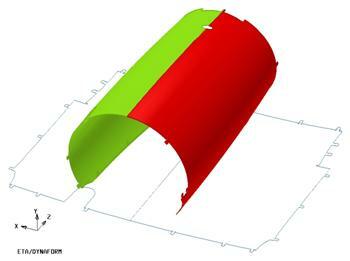 The method of iteration is used to optimize the dimension of the sheet. 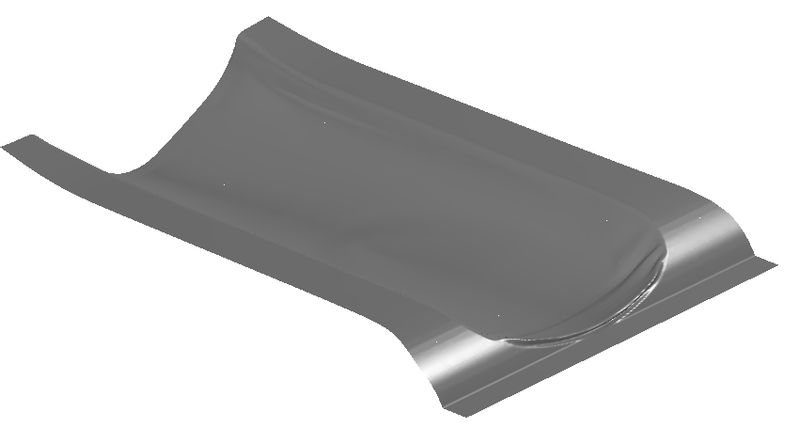 The original blank is automatically corrected during the iteration to obtain the exact product shape, and the product shape ultimately matches the target trimming line. Example is shown below. 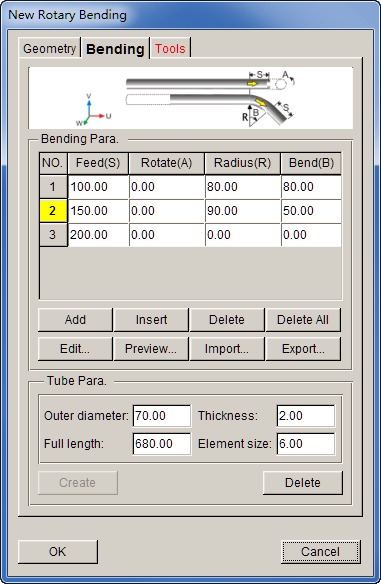 DYNAFORM can simulate CNC pipe bending and tube forming. 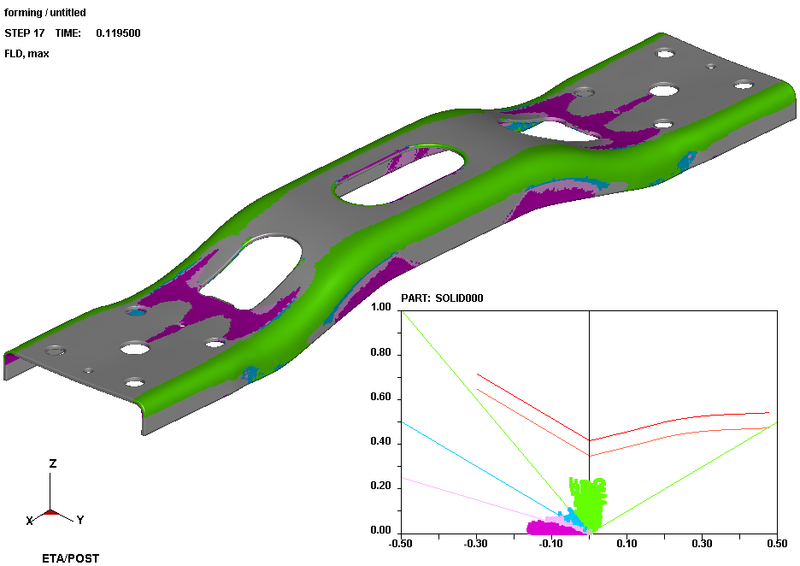 Stamping force Can be mapped to the die structure for stress, strength, fatigue analysis, thus optimizing the structure. 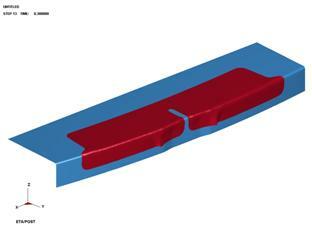 The entire production line can be simulated; can also simulate part under the action of the deformation of the robot. 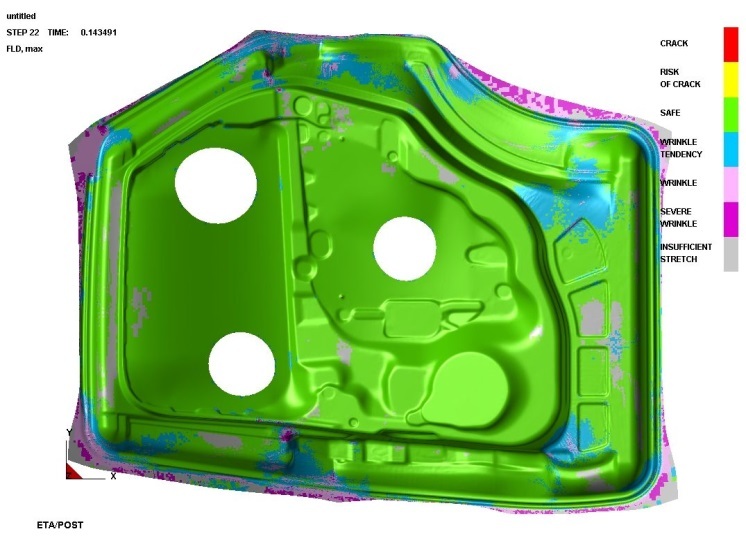 In order to improve the safety performance of vehicles and weight requirements, models having more and more hot-formed parts are being used. 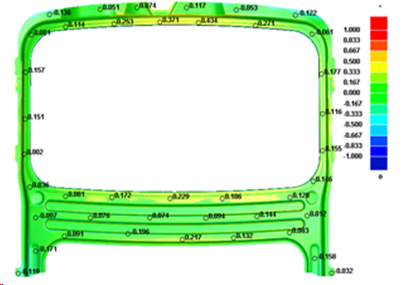 Eta / DYNAFORM can accurately analyze the problems during hot forming process. 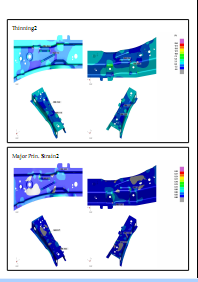 Hot Forming analysis can accurately simulate the hot stamping process of wrinkling, cracking, thinning and other issues. 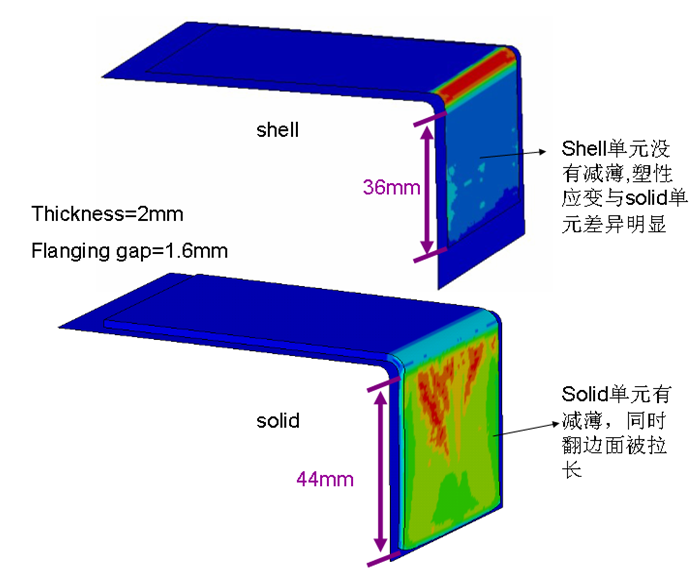 Common with high-strength steel plate of negative clearance, or small rounded forming, or thick plate forming are not suitable for general stamping simulation of the shell unit, in which case the prediction of the shape of the springback, will be seriously affected. You need to try new cell types or new cell algorithms, such as solid units or the thickness stretch shell unit that takes into account the normal stresses that cause material thinning. 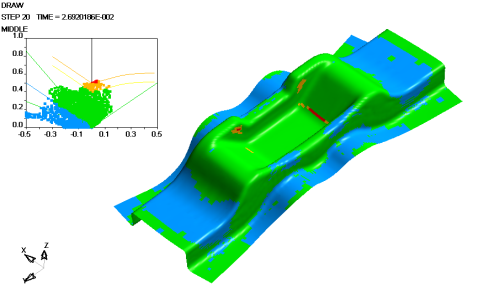 DYNAFORM can be a good support for volume unit simulation analysis. 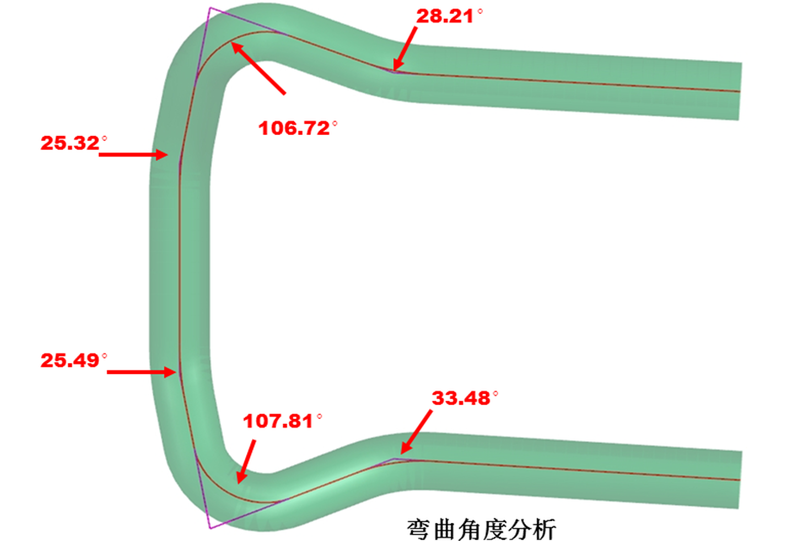 The central opening is 426.4mm ; field test: end opening of 484mm, the central opening of 424mm, D is 112mm. 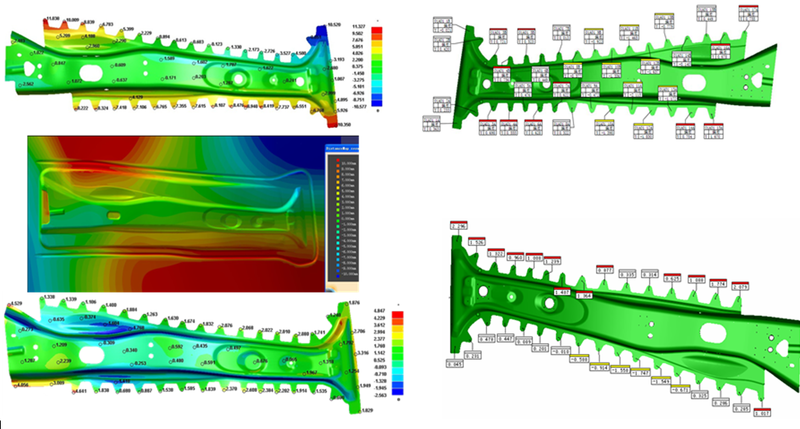 Not only supports the use of volume simulation sheet metal forming, but also supports the use of volume simulation tube forming. 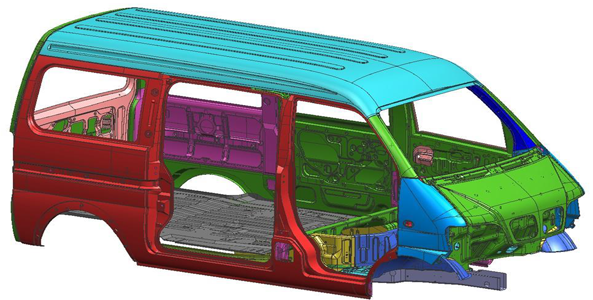 Now in automotive design, the use of simultaneous engineering, and product design to take into account the initial product formability, technology and other factors. 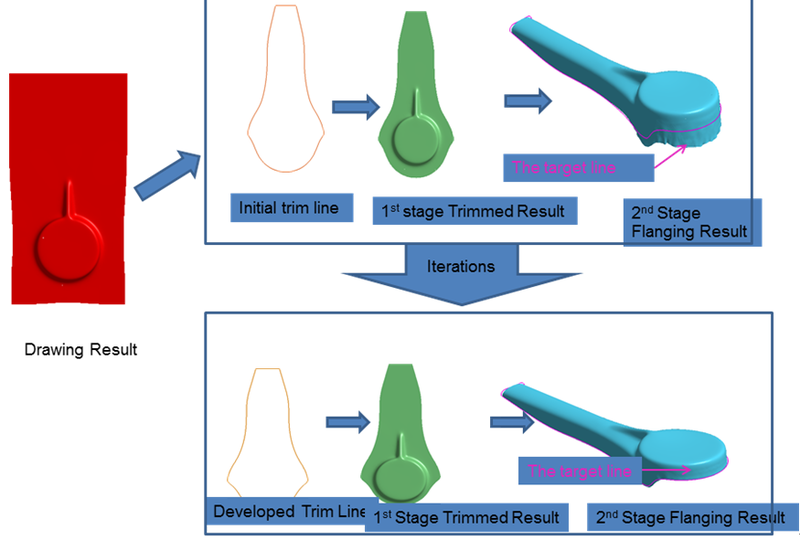 Apart from experience, the use of tools is already the product design stage to assess the product's main means of formability. 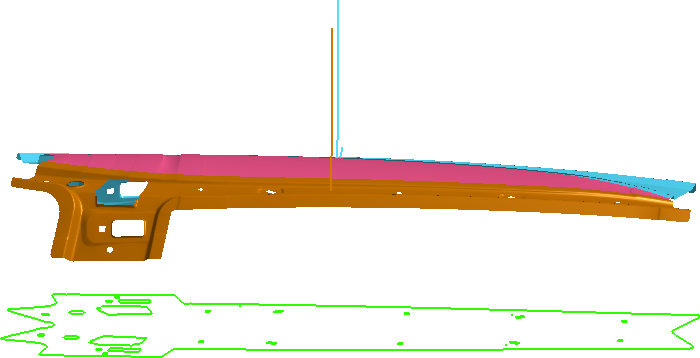 Unreasonable product design, timely design changes. 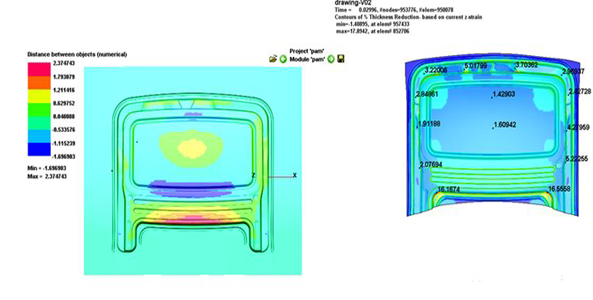 At the same time the results of the analysis can be used as a mold to make the process quick reference module design process mold surface (as a research product formability basis) to become a reality. 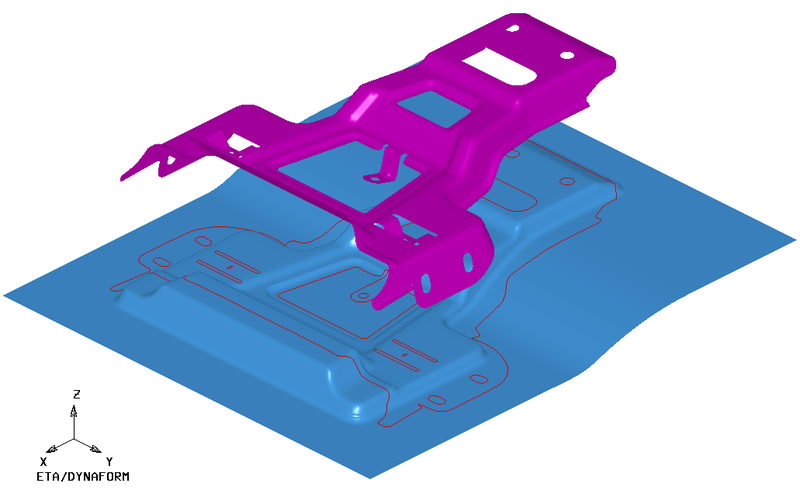 It provides widely recognized in the automotive stamping the SE.During stamping die outsourcing, consider the module material cost, mold quotes provide a great convenience. 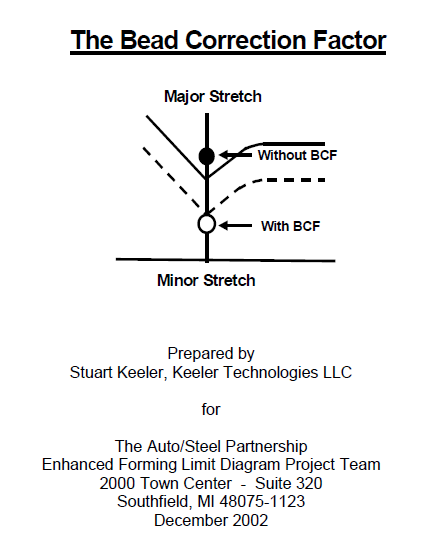 The introduction of DYNAFORM Synchronous Engineering has reduced development cycle time by 30%. 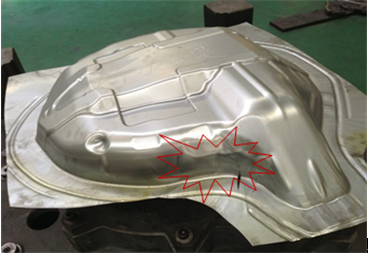 Mold Factory program to help determine the process, the analysis may appear in the mold problem: wrinkling, cracking, thinning, surface quality defects. 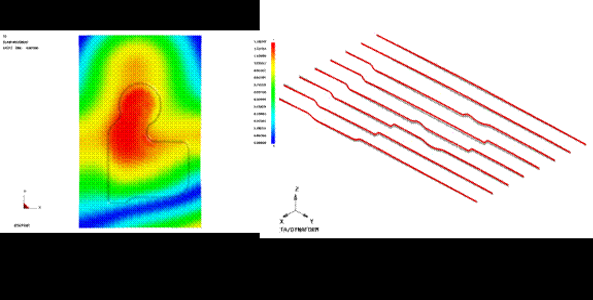 Timely adjustment of process technology solutions and modulus. 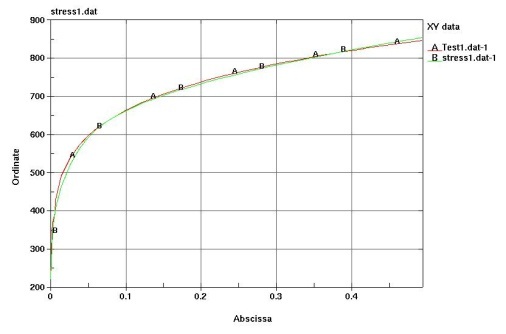 In the process of determining the process parameters: Tonnage, lubrication, clamping conditions. 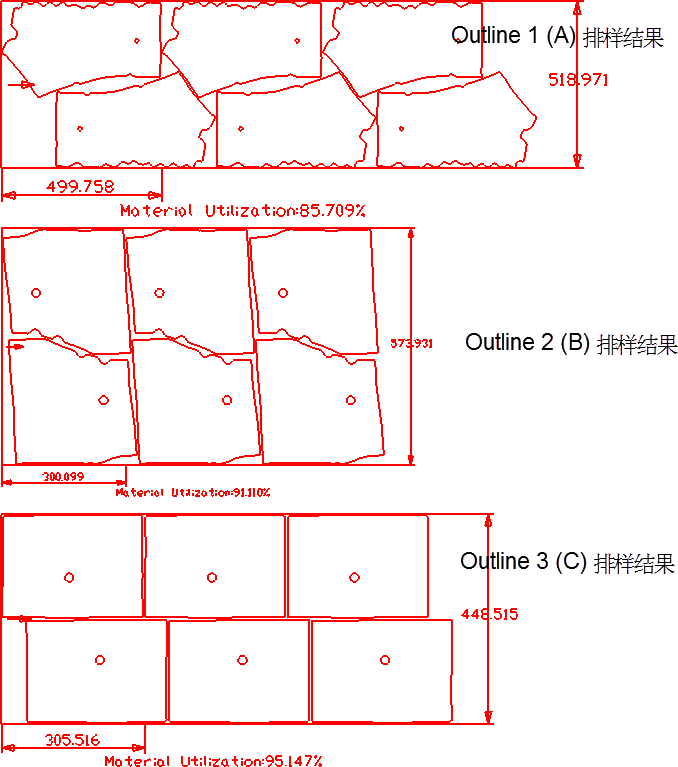 Mold structure is reasonable, and die fatigue analysis. 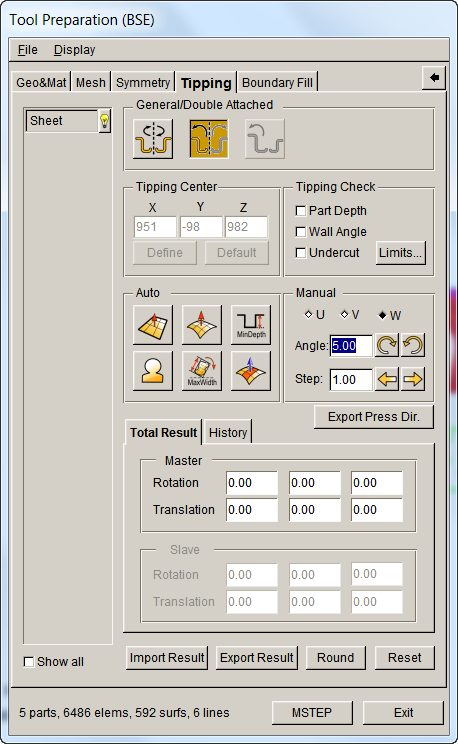 Because the exact solution results DYNAFORM, and is by far the best tool tryout. 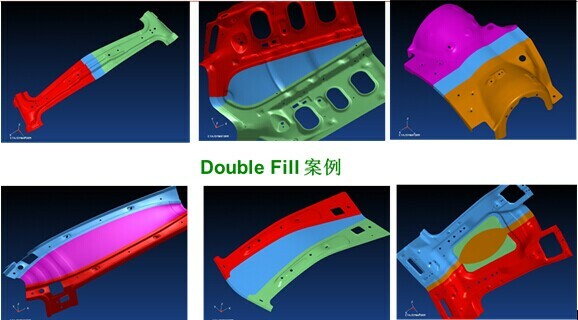 The introduction of DYNAFORM, mold commissioning time reduced by more than 70%. 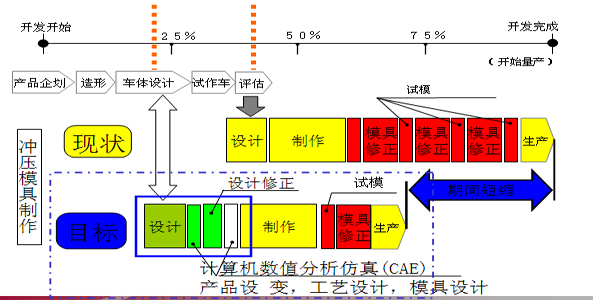 Some mature users, even without debugging mold, which can be opened. 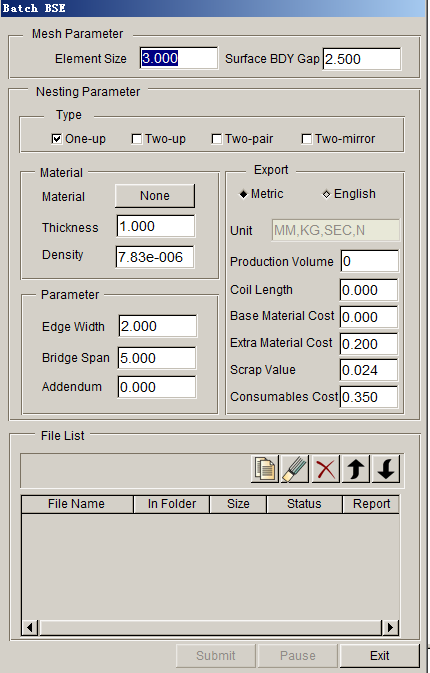 The main aspects of using DYNAFORM in steel industry are: system analysis capabilities,to provide various materials in the study of role of performance parameters in the formation, to research and improve existing materials,research and development to meet new requirements, to assist user to analyze the formability of the material in different product shapes and forming processes, to confirm material grade of the product in the design stage and to establish a complete library of materials. 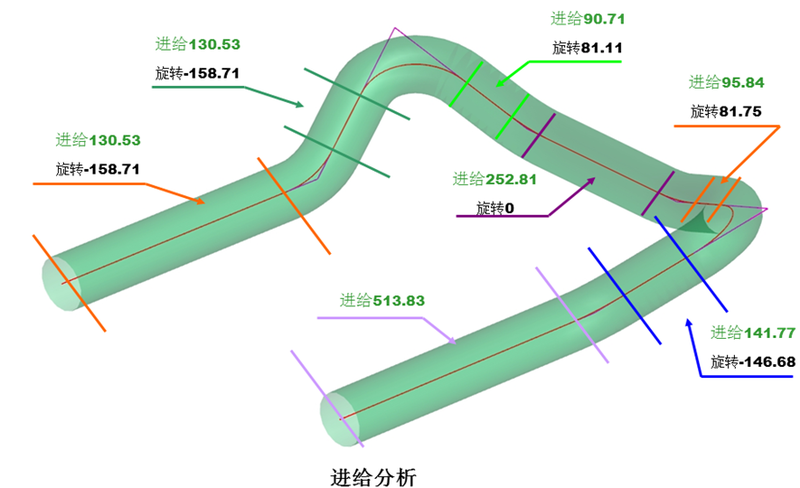 DYNAOFRM is widely used in household appliance industry fields such as kitchen utensils, air conditioners, refrigerators, televisions etc. 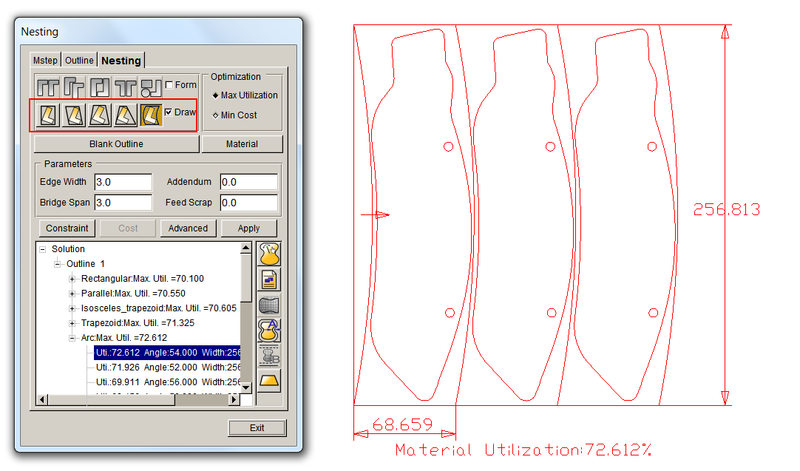 It can be used to perform various tasks such as product blank nesting, formability and springback analysis, to determine kitchenware deep tube drawing step, irregularities (roughness), complex product shape nesting. 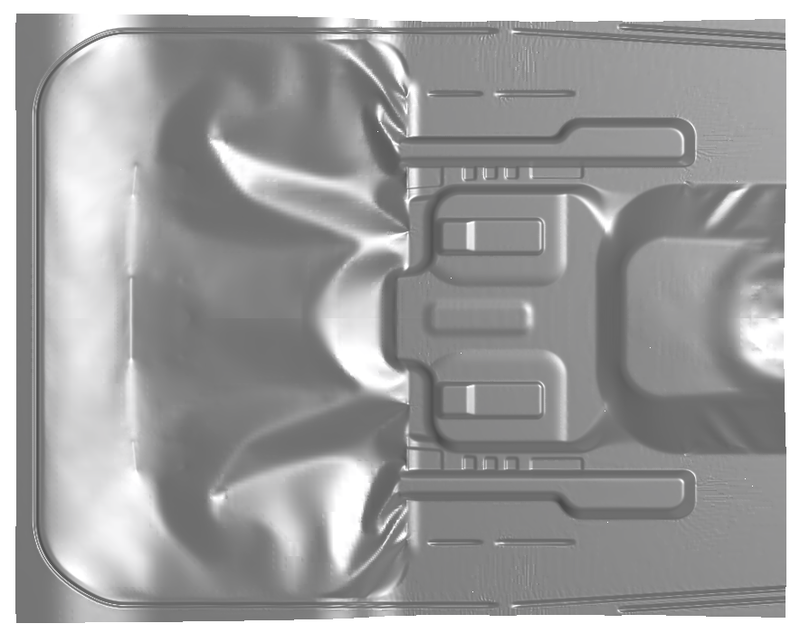 DYNAFORM finds its application in electronic products such as mobile phones, computer casings and other sheet metal products. 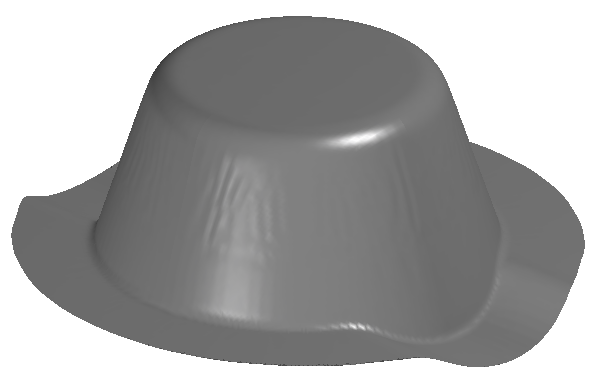 These products are usually small parts, but require relatively high precision. 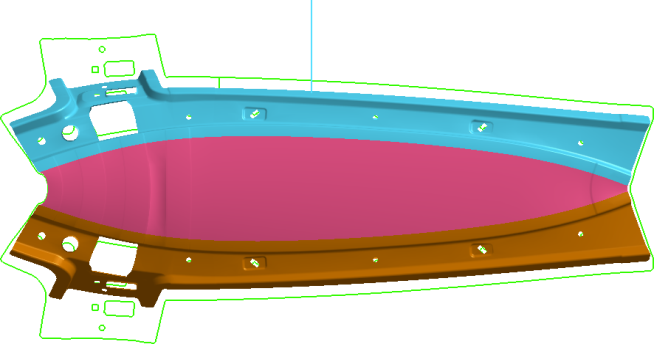 In addition, dimensional accuracy and surface quality requirements are relatively high and DYNAFORM is very good tool to achieve this. 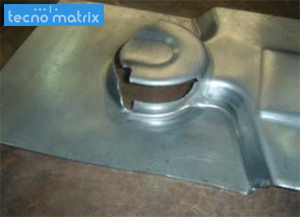 It is used for aerospace sheet metal parts, mostly of large scale. 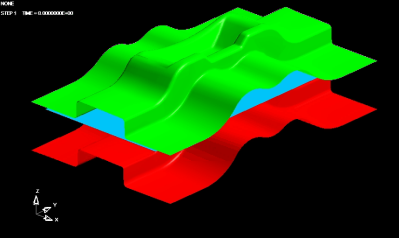 Most of the forming methods used are special forming, such as rubber bag forming, stretch forming, and skin deep drawing. 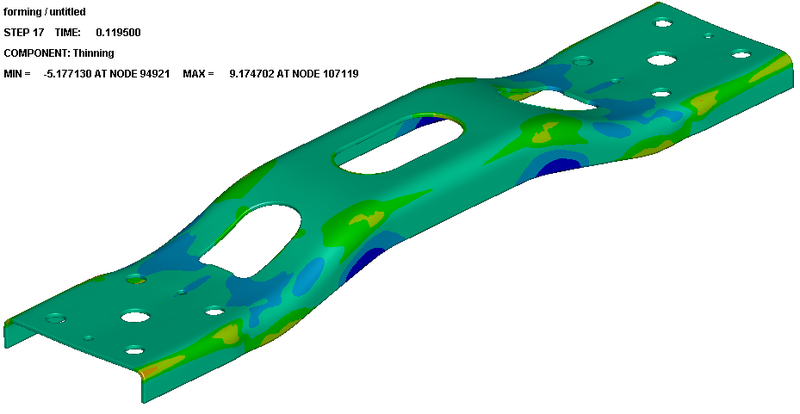 DYNAFORM is a powerful tool to facilitate variety of modeling methods and it has been successfully implemented by Boeing and other big companies. . 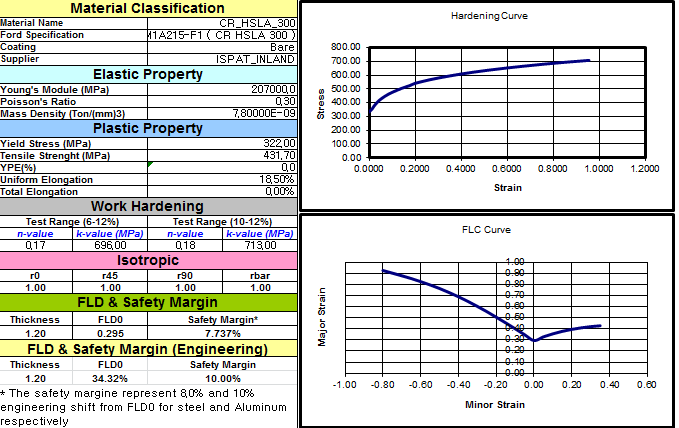 The main aspects of using DYNAFORM in steel industry are: system analysis capabilities, to provide various materials in the study of role of performance parameters in the formation, to research and improve existing materials, to research and development to meet new requirements, to assist user to analyze the formability of the material in different product shapes and forming processes, to confirm material grade of the product in the design stage and to establish a complete library of materials. 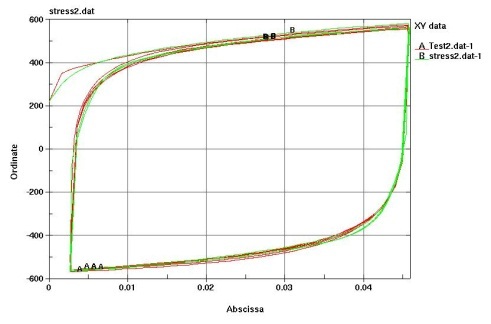 DYNAOFRM is widely used in household appliances such as kitchen utensils, air conditioners, refrigerators, televisions and other fields. 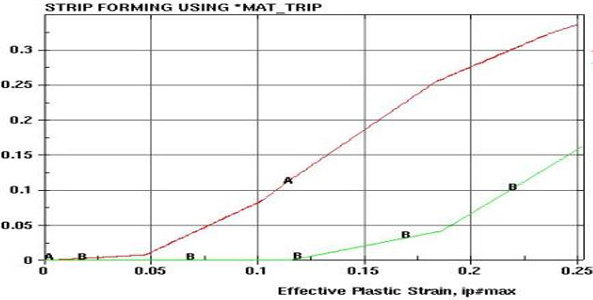 It can be used to perform various tasks such as product blank nesting, formability and springback analysis, to determine kitchenware deep tube drawing step, irregularities (roughness), complex product shape nesting. 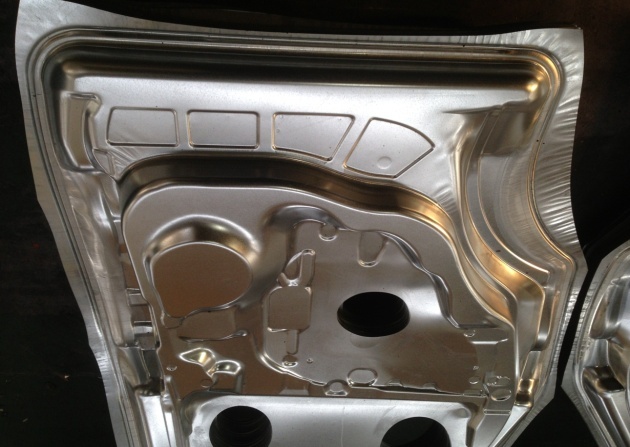 It is used in aerospace sheet metal parts, mostly of large scale. 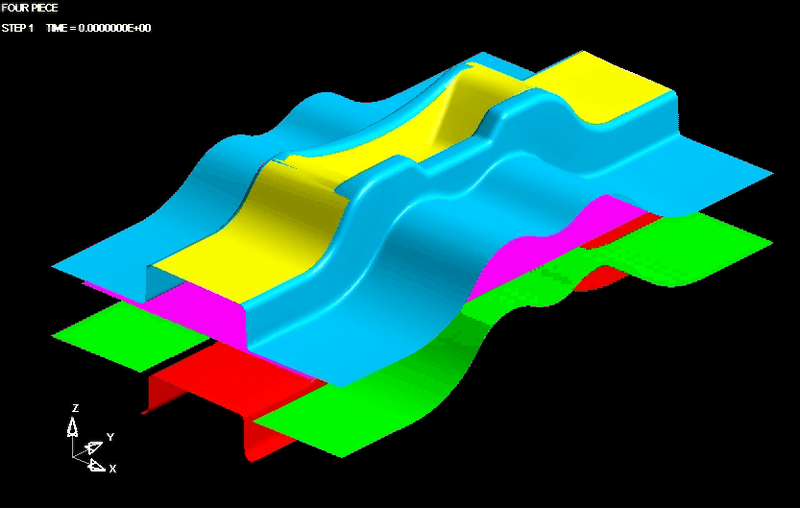 Most of the forming methods used are special forming, such as rubber bag forming, stretch forming, and skin deep drawing. 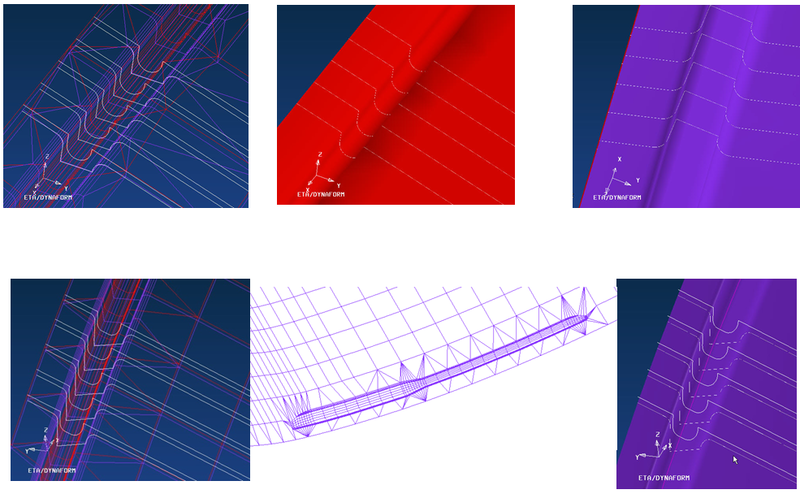 DYNAFORM is a powerful solver to facilitate variety of modeling methods and it has been successfully implemented by Boeing and other big companies. 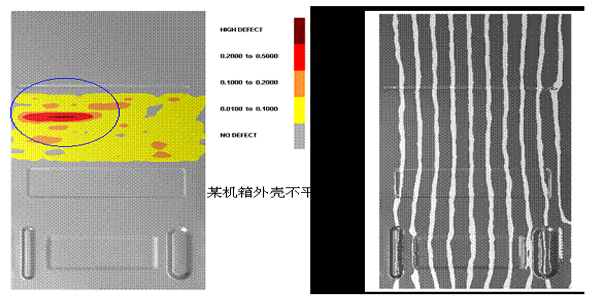 Baosteel used DYNAFORM in a car beam springback analysis (simulation and real results comparison), Baosteel Technical Center staff claimed that DYNAFORM can accurately predict springback traits, so as to provide a basis for springback compensation to improve strength, product design and process feasibility. 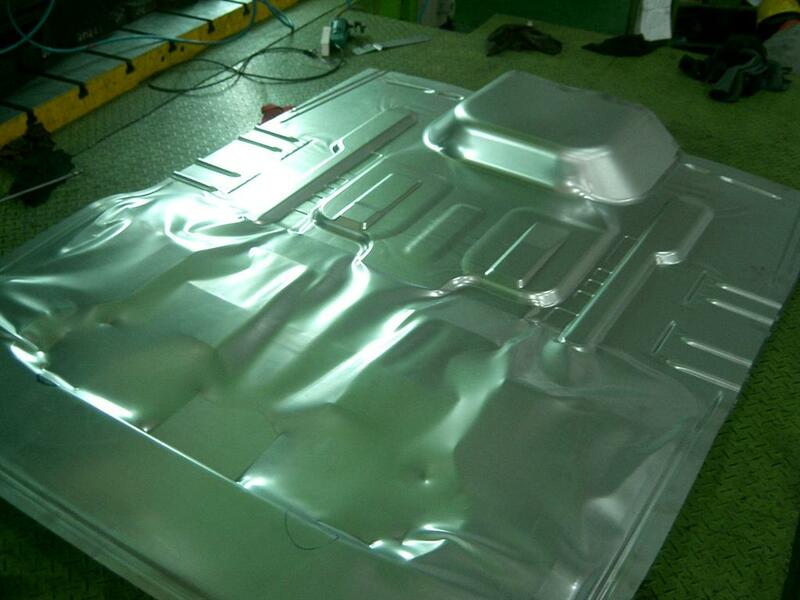 Liufeng, Taiwan, is a die factory which simulates car floor parts. 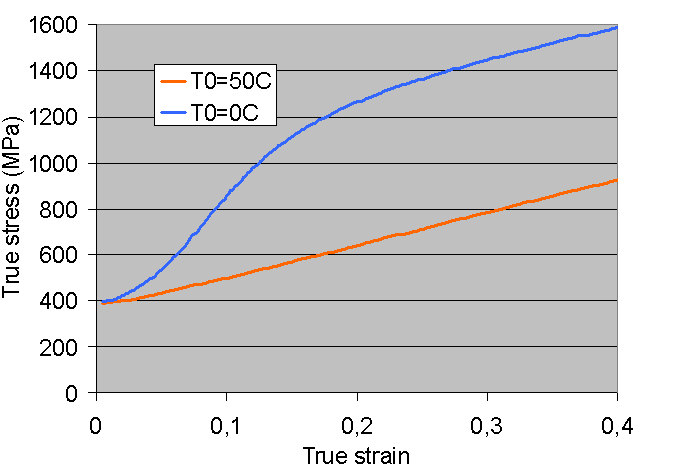 Following figure shows the comparison of simulated and the actual results. 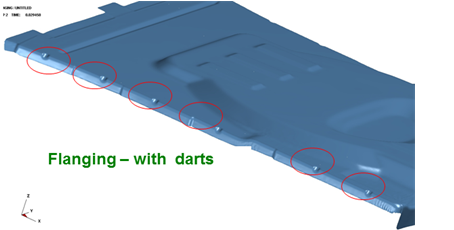 Liufeng believes that the use of DYNAFORM technology can effectively predict defects in performance and improve the quality of die development and reduce product development cycle. 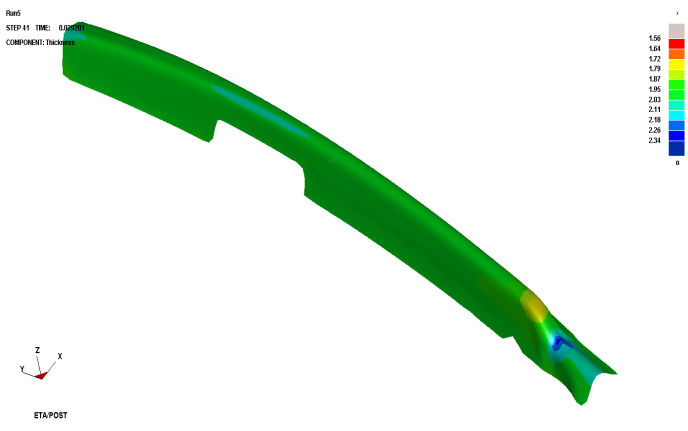 CAE analysis using DYNAFORM can accurately predict forming defects and cracking. 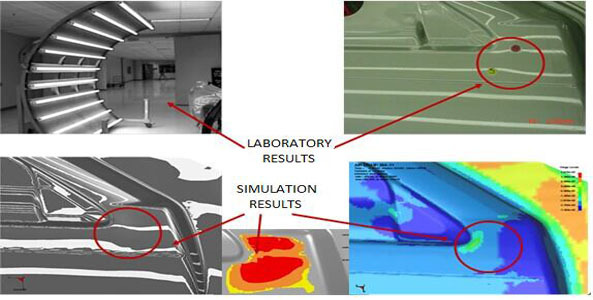 US DCX use ETA provides CAE analysis and testing, inspection door after the forming surface defect (simulation testing and actual test results). 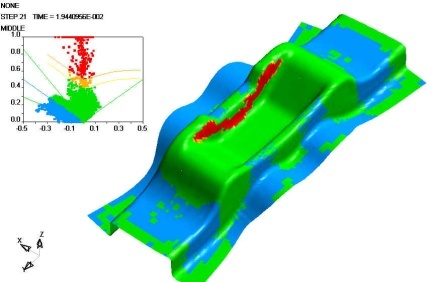 US DCX related engineering and technical personnel believe that the use of simulation technology to provide ETA can effectively analyze the surface of defective products, and advanced means of detecting defects. 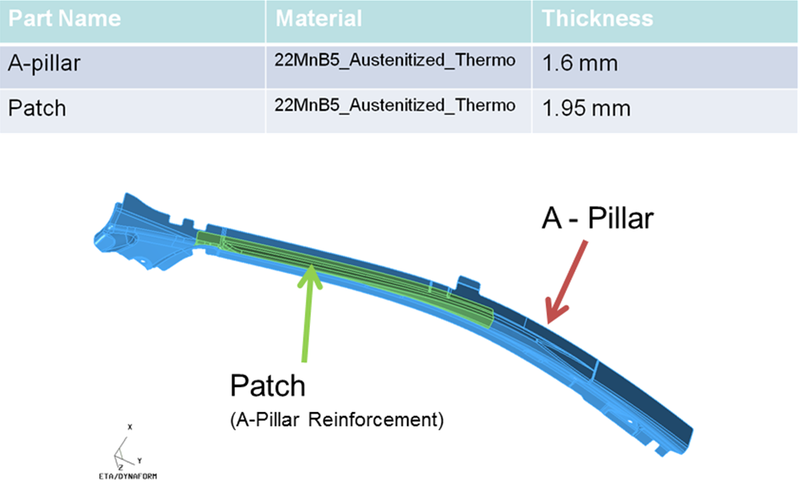 Improve product quality, reduce inspection time.